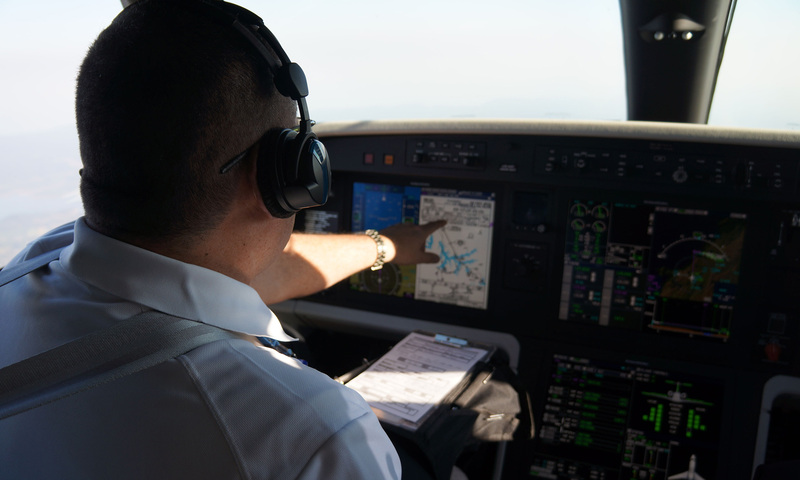 As airlines become more aggressive in hiring experienced pilots, the available pool of qualified pilots has tightened considerably for business aviation operators, industry leaders agreed. “Looking out into the marketplace, it is really, really challenging for us,” Don Haloburdo, vice president and general manager for Jet Aviation, told attendees at Aeropodium’s U.S. Corporate Aviation Summit on November 17 in Washington, D.C.
Haloburdo described the challenges management firms face in hiring a crew for clients and how, in the current climate, “sticker shock” has set in. Many prospective owners, when gathering information on costs of ownership, are receiving information that is 24 months to 36 months behind current trends, he said. These owners, who are spending millions on high-end equipment, come to firms such as Jet Aviation wanting the best-qualified pilots. But, Haloburdo noted, those pilots all have jobs. This puts the management firm in the position of recruiting pilots who are already employed. A pilot might earn a salary of between $245,000 and $265,000 to fly a Gulfstream G650 or Bombardier Global 6000. To get them on board with a new client, the salary may need to go up to $300,000. For a large aircraft, an owner might need as many as four pilots to provide the quality of life that the new generation of pilots expects. Add in a flight attendant and maintenance technician, and an owner may be $1.8 million into costs of ownership before even putting any fuel in the aircraft, he said. At the other end of the market, Ben Hamilton, CEO of charter operator ImagineAir, called the shortage of available pilots “one of our biggest constraints.” ImagineAir, which flies short-range trips using a fleet of Cirrus SR22 piston singles, is looking at adding operations on the East Coast in part to tap into additional pilot pools. ImagineAir, which seeks pilots with a minimum of 1,200 hours, has looked a variety of means to attract qualified pilots. One involves hiring career-path pilots, who have 1,200 hours but need the 300 additional to make the jump to the airlines. Those pilots might gain time for about a year and then make the leap. The second means is to recruit non-career pilots who have other jobs. A third option has become airline retirees who still want to fly, with Hamilton noting that retiring baby boomers might present an opportunity. As a 16k total time,12k hour jet PIC, I've found the great majority of bizjet departments inflexible when it comes to time-in and/or type. I fully agree with this article there is a shortage of AVAILABLE 8000+hour in type PIC G5 or Global pilots and a bizjet department demanding these requirements is going to pay absolute premium for one since they must be inticed (read be stolen)from another bizjet department. Let the bidding war begin. I can sum up the problem in two words "Training Cost". Business Jet departments want move in ready pilots. High time in-type PIC's. No or very little training required. So the sticker shock will continue. When are bizjet departments going to realize the pilot pool of high total time, in-type with type rating is is virtually empty? Bizjet departments MUST change. Today business aviation is either going to pay ultra premium pay to "steal" someone else's pilot OR (radical idea I know) make your own G5, Falcon 2000 or Global pilot. Note almost no one gets hired at Any major airline with the required type rating. Your hired with the required total time, license, attitude and aptitude. Then they send you to school to be trained on THEIR aircraft. Yes the airline pays for a type rating. Imagine that. The sooner Business aviation wakes up to this fact the sooner salaries will stabilize. The major airlines are Business aviations competition Today. I have a logbook full of jet pic experience in a large cabin aircraft, But I'm continually turned away by bizjet departments because my time isn't in "their departments" needed aircraft type. I'm ready and willing to train when their ready, til then do I hear $350,000 anyone. The US can not complain about the lack of qualified pilots. I'm a Gulfstream and Global worldwide experienced Captain with over 8000 hours total, all of them except 50 in high performance jets. I meet pilots from all over the world working all over the world, with very few exceptions...Brasil and the USA. Brasil is even worst than the US. But the case of the US is interesting...US pilots work all over the world without any problems, to get a job in the US as a pilot it is much easier to get an interview with the US president. The legal process to obtain a green card is avoided by all the companies, even if they recognize one is the best candidate. So please make me a favor, before you mention shortest of qualified pilots, make it easier to get a green card.